IWASSA Co.: Campaign to move away from "Facebook" for 99 days. " Campaign to move away from "Facebook" for 99 days. " It seems that the scandal that surfaced recently NiCd do Facebook to conduct special tests to nearly 700,000 users of its location without their knowledge has led many actors to launch initiatives in response to this matter, and in this regard site launched (99 days of freedom) campaign to boycott Facebook for a period of 99 days. 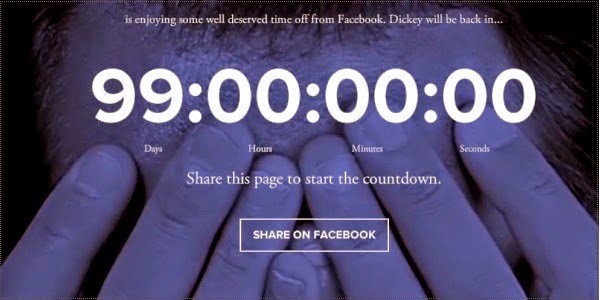 Many of the sites talked about the new campaign, which carries the name (99 days of freedom) and launched by the agency Just and inviting users to experience live 99 days without Facebook and is a challenge that may be difficult for many. Campaign owners justified their position on the fact that users are wasting precious times on the social networking site, which affects their mental state, and that the goal of the campaign will be to do a study to find out whether the psychological state of users will improve for the better or for the worse because of the decision to boycott Facebook for 99 days. And proposes to site 99 days of freedom for this purpose register on the site and change the image of personal user account on Facebook and is a picture written by the campaign slogan and then download counter descending on the account to see how much time was able user to stay away from Facebook and you actually achieved 99 days.